FLASH SALE: 33% off All ArtScroll Haggadahs! TODAY ONLY! Purim is right around the corner, but it’s time to think ahead to Pesach with our ONE-DAY FLASH sale on all ArtScroll Haggadahs! 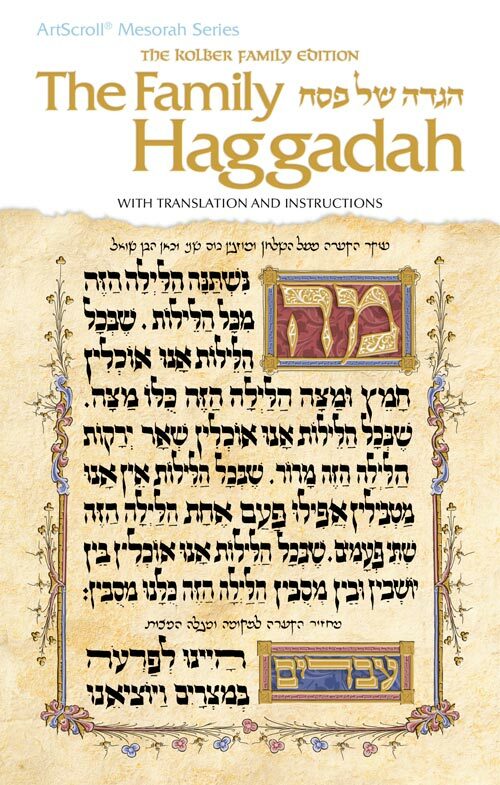 You can now purchase ALL CURRENT ARTSCROLL HAGGADAHS at 33% off the list price by using coupon code SAVE33! That’s a third off the regular price! This Flash Sale ends at midnight tonight, 3/10 – so don’t wait! -Add the Haggadah(s) of your choice to your cart and proceed to payment screen. -Complete the checkout options, and add coupon code SAVE33 into the payment screen. 33% will be taken off of list price. – Enjoy your new Haggadahs! Make sure you have enough of our classic Family Haggadah for everyone at your seder! Today only $1.66! Children at your Seder? Make sure they’re prepared with an Illustrated ArtScroll Youth Haggadah or The ArtScroll Children’s Haggadah for as low as $5.99! And so many more choices…all 33% off today only!